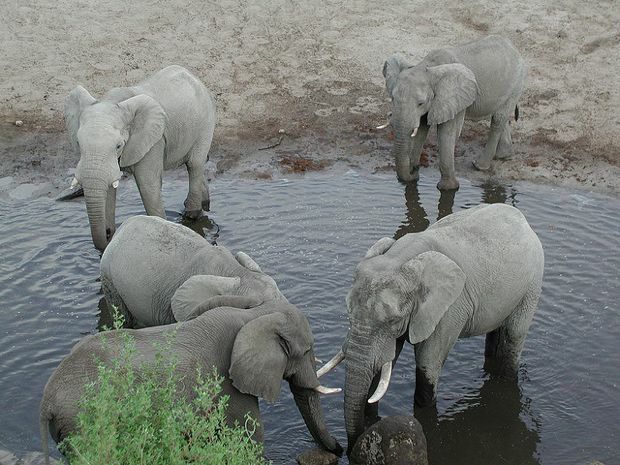 Mozambique is gearing up to build a $3 million eco-tourist resort in the Maputo Elephant Reserve, to be co-financed by the World Bank, with the goal of creating jobs and increasing a community-driven sustainable tourism industry. The local partner–the A Hi Zameni Chemucane Association–represents 850 people from three surrounding communities who co-signed the 50-year agreement with the World Bank, as announced today. The eco-tourist lodge will differ from other similar tourist attractions in neighboring countries as it will be community-driven and not a purely commercial venture. “The Government policy has been to involve the local communities in the management of natural resources and to encourage their engagement in the economic opportunities created in protected areas. This pilot partnership model with the communities is a means to support poverty alleviation and promote the sustainable use of natural resources” said Mozambique Minister of Tourism, Fernando Sumbana Júnior, in the press release. Mozambique is a south-eastern coastal country sharing borders with South Africa to the South and Tanzania to the North and the Maputo Reserve is part of the Lubombo Transfrontier Conservation Area, a joint development by the governments of Mozambique, Swaziland, and South Africa. To that end, it’s hoped that such sustainable conservation initiatives will become region-wide. Mozambique’s Ministry of Tourism and the World Bank’s International Finance Corporation are actively trying to promote cross-border collaborations and make Mozambique a more business-friendly country to invest in.